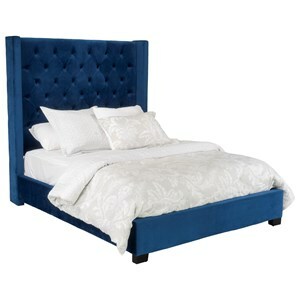 This beautifully designed upholstered bed will give a relaxing and upscale feel to your bedroom arrangement. 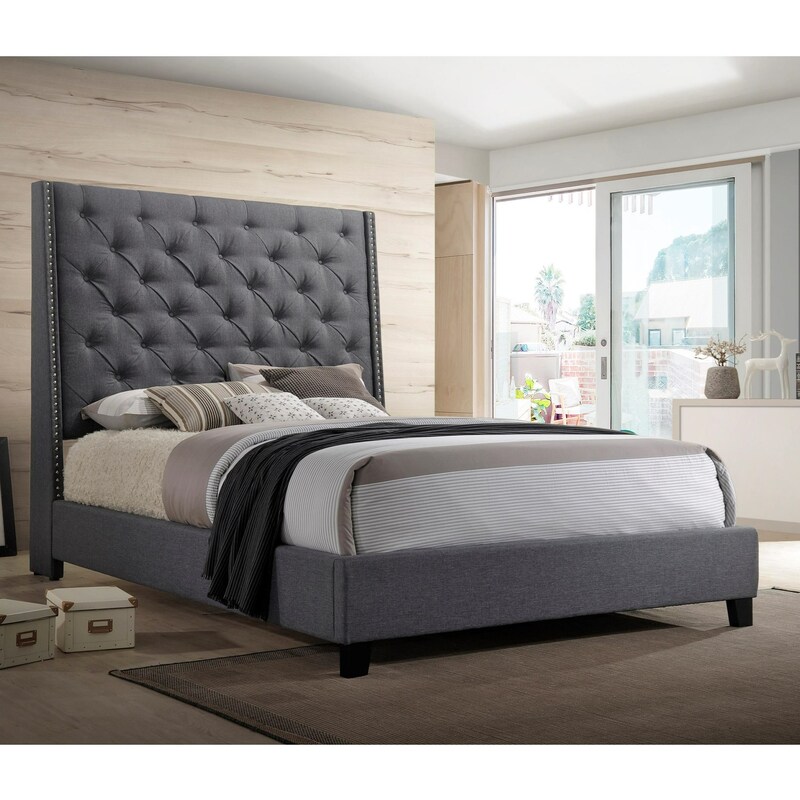 The queen sized bed features a headboard with elegant tufted accents framed by demi-wings lined with nailhead trim. The Chantilly Bed Queen Upholstered Bed with Button Tufted Headboard by Crown Mark at Miskelly Furniture in the Jackson, Pearl, Madison, Ridgeland, Flowood Mississippi area. Product availability may vary. Contact us for the most current availability on this product.